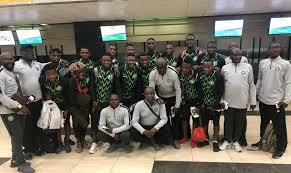 U-23 Eagles Off To Tunisia For AFCON Qualifier Vs Libya – Royal Times of Nigeria. The Under-twenty-three Eagles are off to Bergandan, Tunisia for the first leg of their Under-twenty-three Africa Cup of Nations qualifier against Libya billed for Wednesday at the Bengerdan Stadium. 15 players and their officials left the Nnamdi Azikiwe International Airport, Abuja this morning for the game. They will be joined by eight other overseas-based professionals for the game. 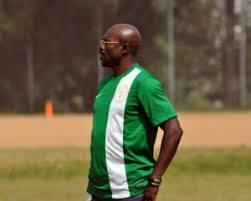 Head coach of the team, Imama Amapakabo picked 12 home-based players and 11 professionals for the game. Lobi Stars trio of Udochukwu Anumudu, Ebube Duru and John Lazarus top the list of domestic players which also include MFM’S defender, Joshua Akapde and Stephen Manyo of Enyimba. Libya are still unable to play international matches at home due to the after-effects of the ArabSpring political turmoil that began in 2011. The reverse fixture will come up at the Stephen Keshi Stadium, Asaba on Tuesday March 26. The Under-twenty-three Eagles are the defending champions of the Under-twenty-three Africa Cup of Nations. Africa’s flag-bearers in the Men’s Olympic Football Tournament of Tokyo 2020 will emerge during the 3rd Under-twenty-three AfricavCup of Nations to hold in Egypt in November this year.